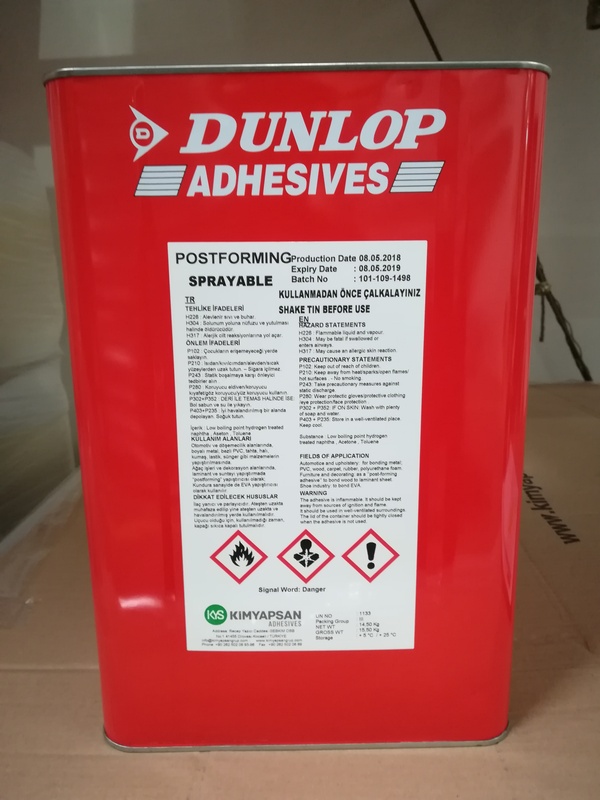 Adhesive with multipurpose contact and high heat resistant. Applications: This product is suitable for furniture and woodwork industry. It is designed for bonding plastic and wood veneers to chipboard and MDF, leather, felt, foam-felt, sound insulation. It is also suitable for automotive (ceiling-floor-seat), bedding, upholstery, steel based product industry. It is a multipurpose contact and high heat resistant adhesive.